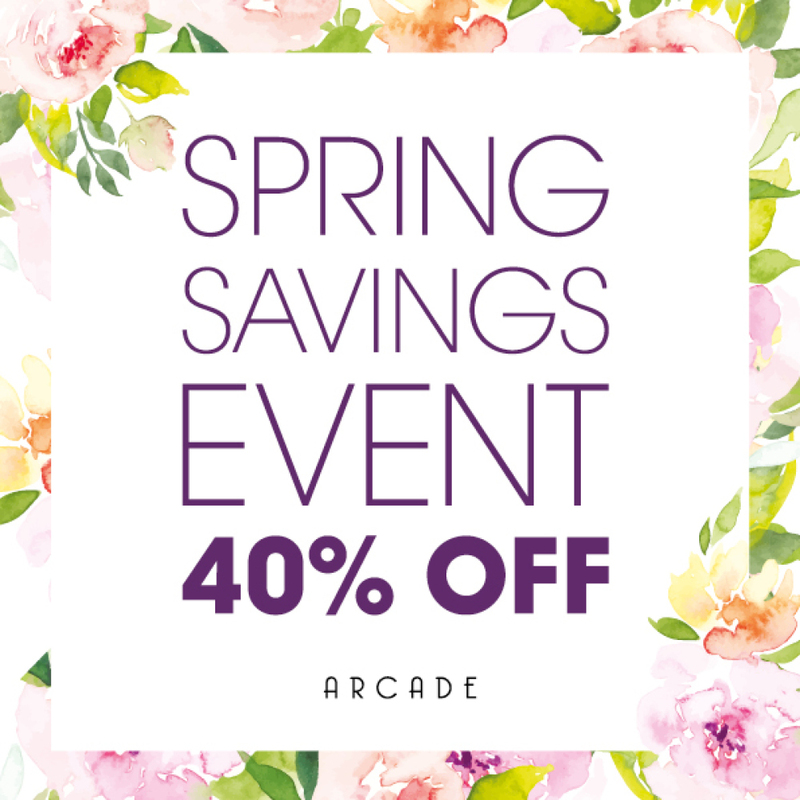 As part of Arcade Bathrooms’ Spring Sale, our brand and marketing team developed an eye-catching campaign design. From digital advertising to sale print brochures and POS, our team worked to bring a number of elements together to increase awareness and drive traffic both in store and online. Bringing some colour and freshness to the usual sea of red that typically identifies a sale, our marketing team designed a campaign that incorporated a seasonal spring theme, ensuring Arcade Bathrooms stood out from the crowd. The main marketing objective of the Facebook sale campaign was to raise brand awareness of Arcade Bathrooms and increase clicks to the website for the sale. Our digital team produced videos, carousels and still image adverts using existing imagery with added graphics that were run as clicks-to-website adverts on Facebook, alongside boosting posts on the Facebook page. Through the use of captivating content, the aim of the brand awareness campaign was to ultimately inspire potential Arcade Bathrooms customers. Working with a set audience targeting in order to reach a relevant demographic, the tailored digital advertising campaign resulted in a significant increase in website visitors and brand awareness across social media platforms. Ensuring the campaign branding remained consistent for the duration of the sale, the marketing team designed corresponding point of sale material that was displayed throughout Arcade Bathrooms’ stockists. Using the sale graphics and creative direction, the design team produced an eye-catching brochure cover wrap in order to provide customers with corresponding sale material.